In 1979 Jorge “George” Cuevas started his dream of creating a successful family run auto body shop in a world of Corporate competitors. His shop has been providing one of a kind Customer Service for 34 years. And is now one of the surviving few shops to remain steadfast in a business controlled by politicians and bureaucrats. To continue to bring to our patrons reliability and personality as only a “Truly American”, small business can do. Over the years we have updated our equipment and facility to ensure that all the latest and up to date techniques are applied to our vehicle repairs. Our latest investment has been our workshop in Anaheim, CA. This is just another step closer to a dream of being the leaders in our industry. Our workshop has the capacity for approximately 40 vehicles at lockup. 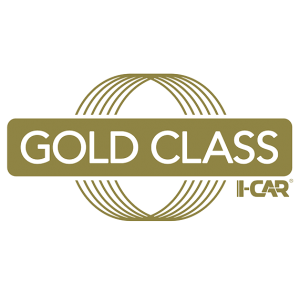 Our intention from the outset was to provide the best possible quality service available with highly competitive prices this will always be our primary objective. For any business to succeed it must have a sound basis of underlying principles, one, which everyone working within the organisation should understand and work towards. Kraemer Auto Collision Centre is a Quality and Environmentally Endorsed company. Over the years, Kraemer Auto Collision Centre have grown a large and reputable customer base of private and insurance customers. We are recommended repairers for many insurance companies and we also service all major insurance companies and local business. CHARLOTTE, NC (December 13, 2017) – CARSTAR Auto Body Repair Experts, North America’s largest Multi-Shop Operator Network of independently owned collision repair facilities, announced that CARSTAR Kraemer Collision Center, a member of the CARSTAR family since 2013, has moved to a new facility located at 2841 E La Palma Ave, Anaheim, CA, 92806.
from full auto collision repair to small dent and ding fixes, storm damage repair, paintless dent repair and vehicle painting. They service all makes and models, including imports, and provide limited aluminum repairs. They also service fleet vehicles. 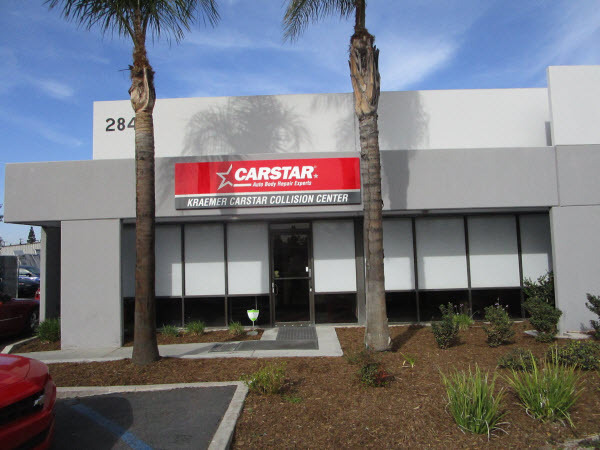 CARSTAR Kraemer Collision Center offers towing, customer pickup and delivery and rental vehicles through Enterprise. Hours are Monday through Friday from 8 a.m. to 5 p.m.
CARSTAR Kraemer works with all insurance companies.